Pools are an essential component when backyard renovations are in the conception phase. Naturally, poolside shade becomes just as important. 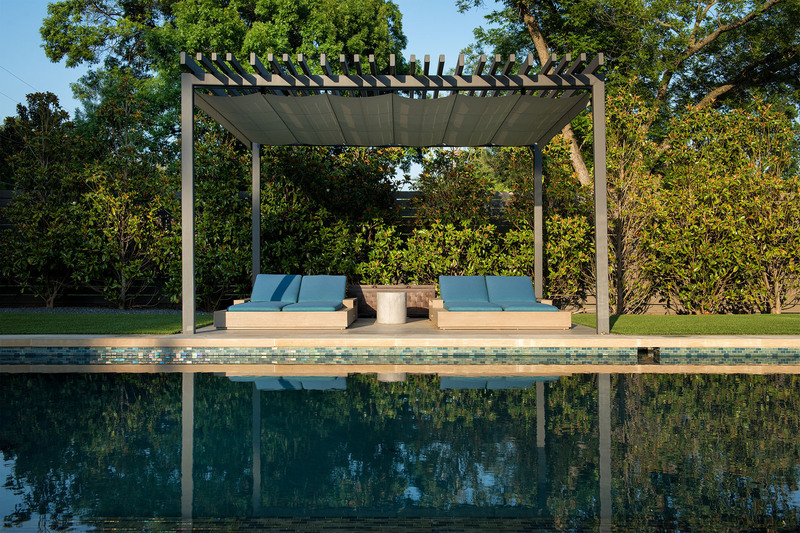 Thus, designers are incorporating modern poolside pergolas as a flawless way to add style and purpose to a lavish backyard. Garden Design Studio prides themselves on creating one-of-a-kind outdoor living spaces. Their team of highly-skilled landscape architects, designers, and craftsmen, helped these clients exquisitely transform their backyard. It’s a space that could easily be found on the pages of a luxury design magazine. With such a unique pool proposal, Pool Environments showcased their award-winning talents and became part of this project. Their courteous customer service focuses on the utmost quality and further proved to be the right partner in this backyard revamp. 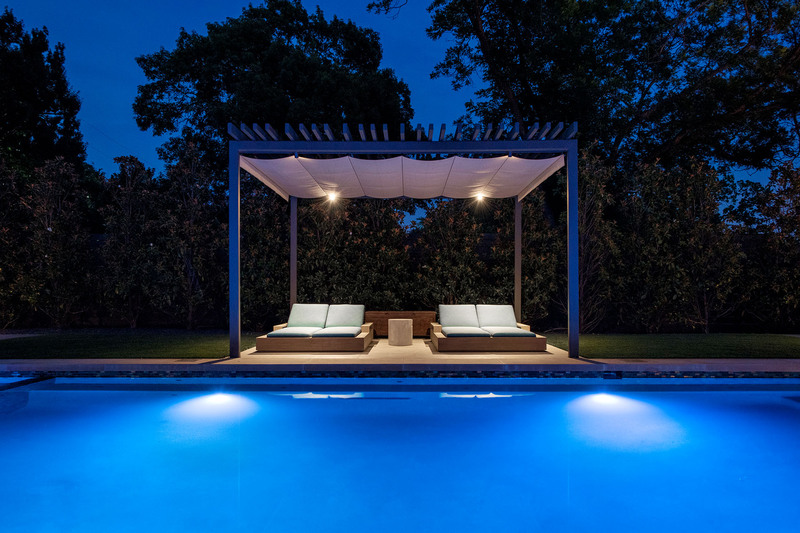 Garden Design Studio specified a poolside shade as the finishing touch. 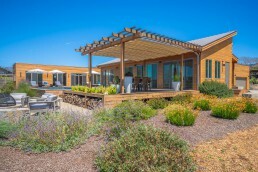 At the client’s request, the design team steered clear of the traditional pergola and permanent roof solution. A contemporary pergola matching the architecture of the glass-filled home was installed poolside. ShadeFX customized a 16’ x 12’ manual retractable canopy in a Sunbrella silica silver fabric granting a lighter flair. The simple aesthetic of clean lines and minimal clutter presented a seamless touch. These homeowners can now relax between dips under this modern pergola. Together with a ShadeFX retractable canopy, they can filter the perfect amount of light. 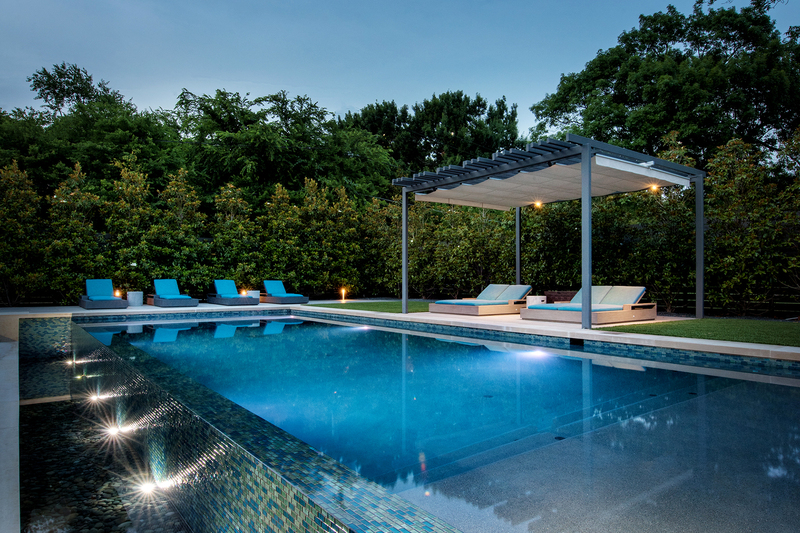 From pool, to landscape, to shade and coupled with an impeccable team, they were able to bring their vision to life. Let us help bring your background dreams to life. Contact us today.